BBB® brings Northern Nevadan’s Money-Saving Association Health Plans. Asset Solutions Group (ASG) in conjunction with Hometown Health and the Better Business Bureau (BBB)® brings Northern Nevadan’s Money-Saving Association Health Plans. For the first time in almost 10 years, Northern Nevada small business owners sized 1-50 can secure discounted insurance plans when they are an Accredited Business of the Better Business Bureau (BBB) and sign up for Hometown Health’s BBB Association Health Plan. Call your broker to sign up. If you don’t have a broker and you would like to sign up for the Association Health Plan contact Asset Solutions Group (ASG). ASG is the broker of record for the BBB AHP but that does not mean you can’t sign up through your existing broker. 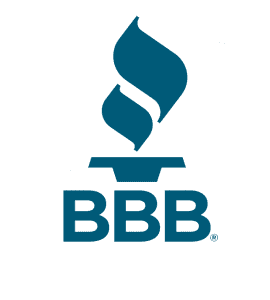 The BBB serves the community of Northern Nevada and Utah by offering an ethical marketplace where buyers and sellers trust each other. The BBB sees trust as a function of two primary factors — integrity and performance. Integrity includes respect, ethics, and intent. Performance speaks to a business’s track record of delivering results in accordance with BBB standards and/or addressing customer concerns in a timely, satisfactorily manner. Become a BBB Accredited Business and qualify for the BBB Association Health Plans. Asset Solutions Group offers health and life benefits for businesses, individuals, and families. The brokers there, lead you through the process of selecting the best plans for your budget. They put together attractive benefits packages and help you maintain them, so you stay up-to-date and compliant.